Ultrabook tuning. 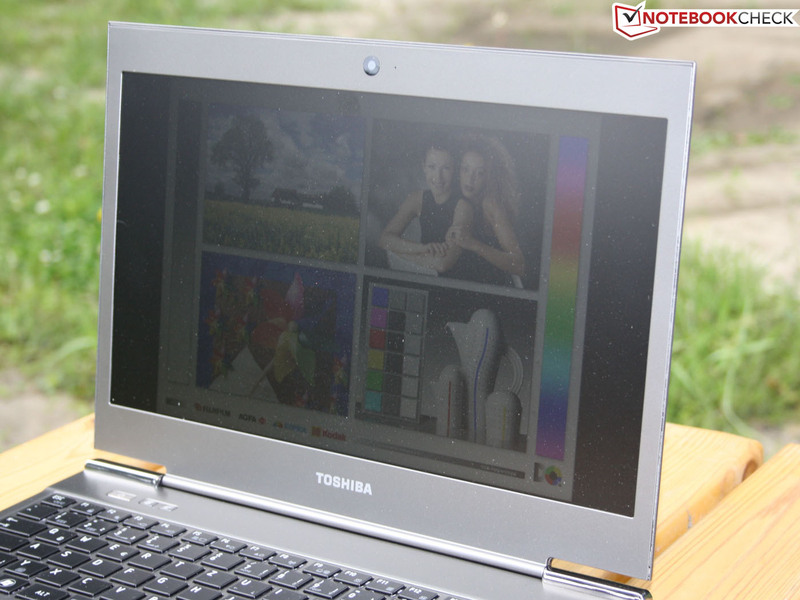 The Toshiba Satellite Z930 is the second-generation of Toshiba’s ultrabook line, replacing the Satellite Z830. While the case is largely the same, the newer Satellite receives an updated Ivy Bridge processor. Does this new ultrabook bring more to the table than faster calculations? Read our review to find out. Toshiba Satellite Z930-119: Faster due to Ivy Bridge and new SSD? 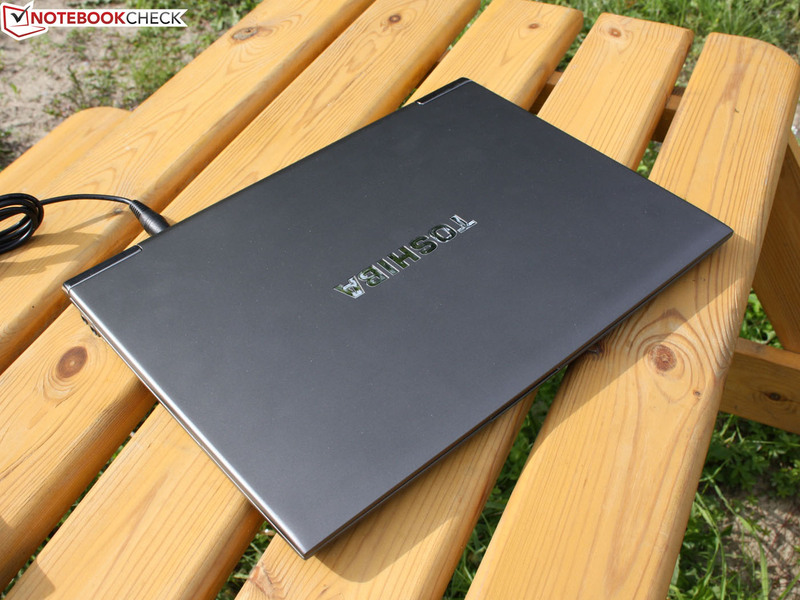 We reviewed the Toshiba Satellite Z830 in December 2011 and criticized the consumer ultrabook’s continuously audible fan, weak display colors and view angles, and a mediocre runtime for an ultrabook. 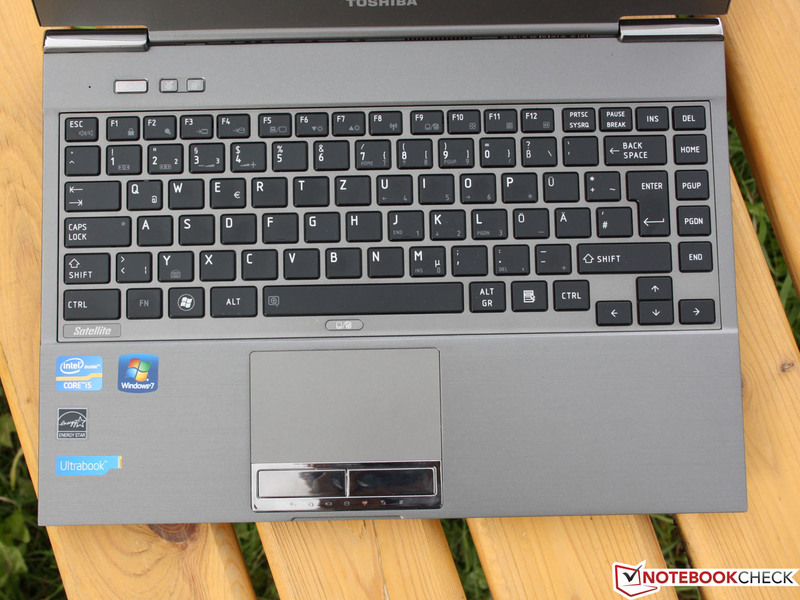 In this review, we consider its successor, the second-generation Toshiba Satellite Z930. While the Z830’s record-breaking angular, lightweight case remains unchanged, the newer Satellite Z930 features a low-voltage Intel Ivy Bridge CPU and its integrated Intel HD Graphics 4000. Similarly, the ultrabook now features a 256 GB SSD. As the case, connectivity, input devices, and speakers are identical to those of the Z830, we refer the reader to the previous review. This review instead focuses the upgraded equipment of the new Satellite Z930 and seeks to answer a handful of questions. Has the manufacturer addressed the aforementioned issues of the Z830 for this second-generation ultrabook? Are there any new features that set the Z930 apart from the rest of the ultrabook market? Does the new SSD in the Z930 outperform the rather leisurely-paced 128 GB SSD of the Z830? Read on to find out. 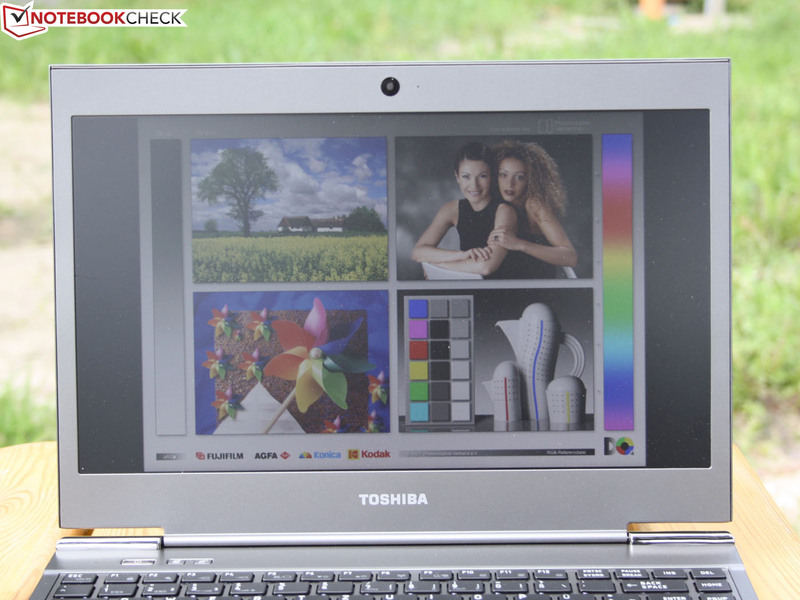 In our testing of the preceding Toshiba Satellite Z830, we were unable to determine the display model. For the updated Toshiba Satellite Z930, we know that the matte 13.3-inch 1366x768 display is the Toshiba TOS5091 TFT screen. We are quite familiar with this screen as it has been used in other Toshiba notebooks – the Satellite R850-127, Portégé Z835, and Tecra R850-11P. The screen’s matte display surface is virtually a requirement for portable devices. We measured a good average brightness of 257 cd/m2 but a low contrast of 131:1. As a result, the displayed colors are pale with a grayish sheen and are washed out. While many of the notebooks we have tested also suffer from similar drawbacks, one would likely expect better from a device that costs 1200 Euro ($1475 USD). Interestingly, these measurements are identical, within measurement tolerances, of the Z830 predecessor. This allows us to partially answer the first of our questions coming into this review: the display has not improved and is in fact the same screen used in the Z830. Our conclusion is based not only on the brightness and contrast data but also the observed ICC color data. The color profiles of both the Z830 and Z930 are virtually identical as shown in Figure 3. The relative coverage of sRGB and AdobeRGB are displayed in Figures 1 and 2 and is clearly incomplete. While the newest mid-2012 revision of the Apple MacBook Air also lacks complete coverage, as shown in Figure 4, the Air thoroughly beats both our Z930 test sample and the preceding Z830 in contrast with a measured 805:1 contrast ratio. Nonetheless, the spectrum of reproducible colors is only of significant concern in professional image editing which is unlikely to be performed on a 13-inch device. Therefore, most customers can safely disregard this technical color weakness provided they can accept the subjective color quality. 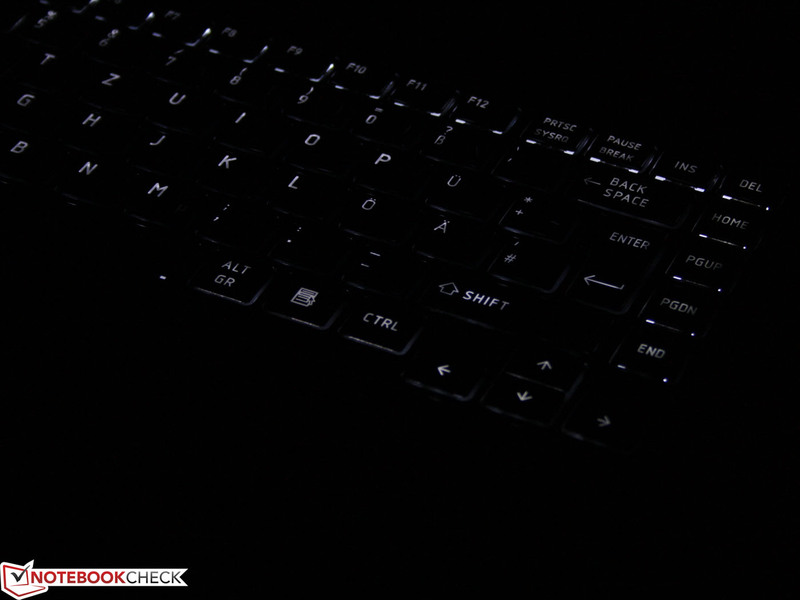 On the other hand, the Z930’s LED-backlit display is not entirely without merit. Maximum brightness is maintained on battery power, as was the case with the previous Satellite Z830, and the measured 90 percent illumination highlights a homogenous display with no dim spots. Our pictures of the screen in direct sunlight were taken under overcast conditions and maximum brightness. 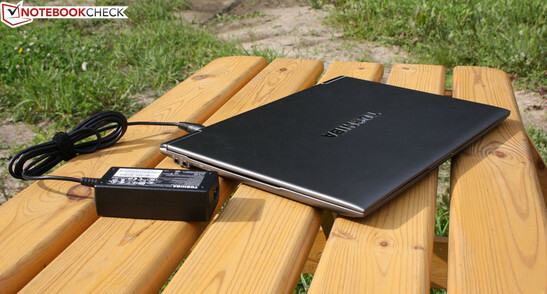 While the notebook lacks an ambient light sensor, the lack of automatic brightness adjustment did not prevent the display from being visible in this outdoor scenario. However, we would have appreciated a brighter backlight, especially when viewing the screen from the side as the matte display dimmed considerably. This dimness would be even more pronounced in more intense direct sunlight. 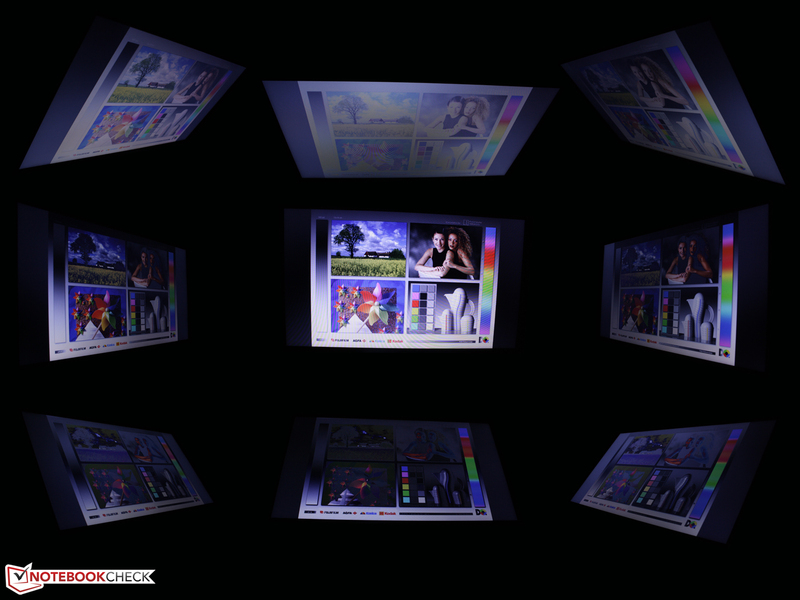 To further qualify image distortions based on viewing angles, we placed the Satellite Z930 in a dark room and photographed a static screen image from various angles. As is typical for simple TN (twisted nematic) screens, we observed narrow viewing angles of at most 45 degrees in the horizontal axis. Deviations of greater than 45 degrees cause annoying ghosting and color inversion when watching movies or looking at pictures. In the vertical axis, these visual distortions occur at deviations as small as 10 degrees. The Satellite Z930 uses an ultra-low voltage Ivy Bridge CPU. In the case of our test model, the only processor available in Germany is the dual-core Intel Core i5-3317U with a base clock of 1.70 GHz and a maximum Turbo Boosted speed of 2.60 GHz. This processor replaces the CPU used in the Z830, an ultra-low voltage Sandy Bridge dual-core Core i5-2467M which has a 1.60 GHz base clock and 2.30 GHz Turbo Boosted clock. On paper, this is a marginal upgrade and a nominal clock speed upgrade. We investigate the actual performance differences in more detail in the following section. 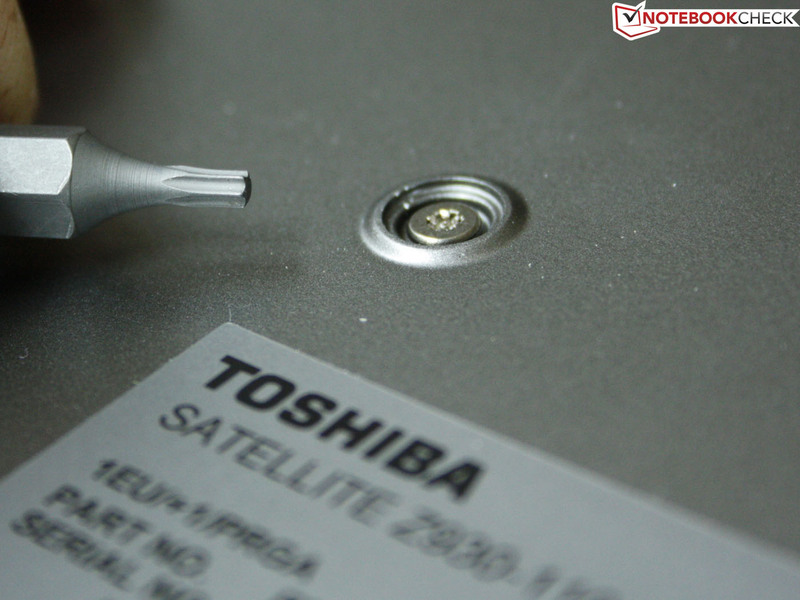 In terms of storage, a 256 GB Toshiba SSD (THNSNS256GMCP) replaces the 128 GB mSATA module (THNSNB128GMCJ) of the Satellite Z830. Neither of these are 2.5-inch or 1.8-inch storage drives but rather fit the 3 x 6 centimeter (1.2 x 2.4 inch) mSATA mini PCI-Express form factor. 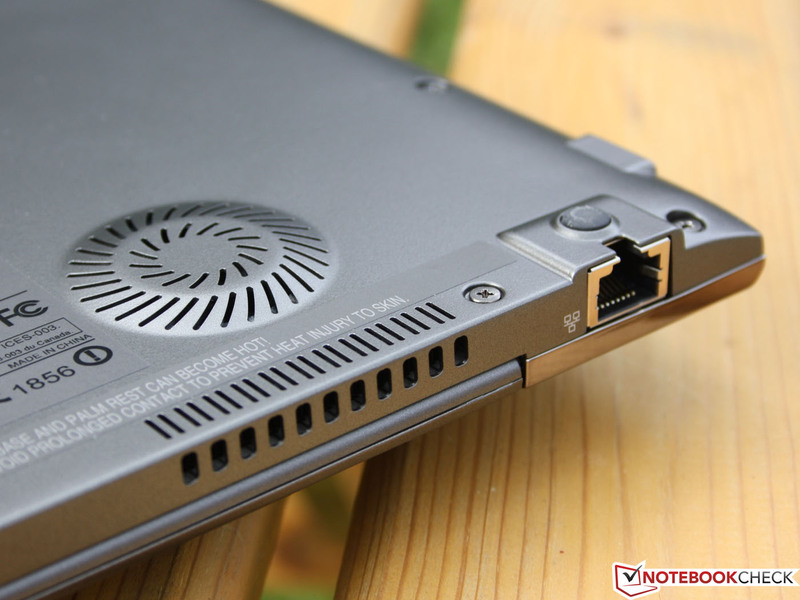 The notebook lacks an optical drive but we find this reasonable consider the slim case. As well, this lack allows for a greater structural rigidity that is only possible by omitting a drive slot. The slightly cheaper Satellite Z930-103 differs from our test device only in that it uses a smaller 128 GB SSD. In order to determine whether the Z930’s Ivy Bridge Core i5-3317U CPU is a significant upgrade to the Z830’s Sandy Bridge Core i5-2467M, we used the Cinebench test suite. In the R11.5 64-bit Multi-CPU test, our sample’s i5-3317U scored 2.35 points, an improvement of eight percent over the Z830’s i5-2467M which is also used in the Asus Zenbook UX21E-KX004V and Samsung's 900X3B-A01. Other notebooks using the Core i5-3317U achieved similar scores. For example, the Aspire V5-571G and Zenbook Prime UX31A both scored 2.38 in the same test. The Cinebench R11.5 Single-CPU test uses only a single core and demonstrates the potential of Turbo Boost technology. Our Z930 achieved a score of 1.04 in this test, matching the Dell Vostro 3360 and Lenovo IdeaPad U410 which have the same processor. 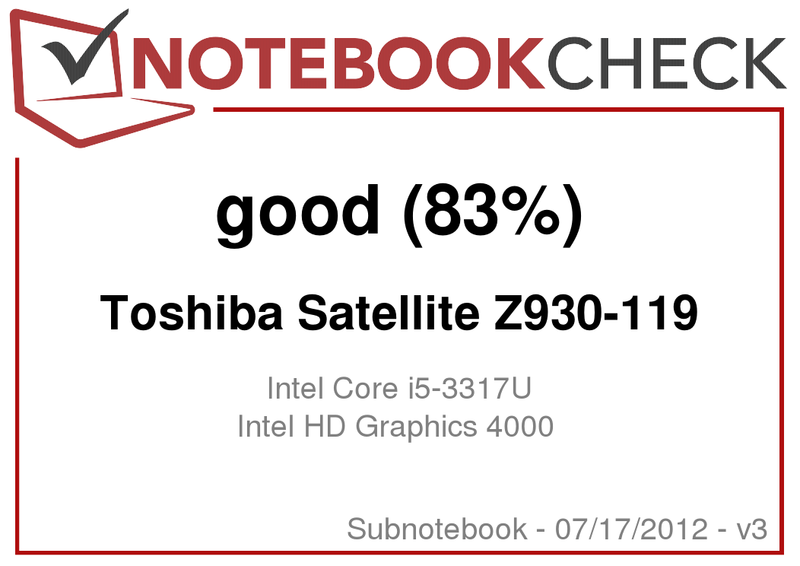 Similarly, the Satellite Z930 matched the performance levels of other Core i5-3317U-based notebooks such as the 11-inch Apple MacBook Air MD223D/A and the Lenovo IdeaPad U310. Unfortunately, we do not have any single-core benchmarks for the Core i5-2467M. By comparison, the i5-3427U, which has a 1.8 GHz base clock and 2.8 GHz Turbo Boost clock, from the latest MacBook Air 13 is 10 percent faster. During the single-core test, our device’s processor remained stable at 2.4 GHz from the start, suggesting that the cooling is insufficient to completely exploit Turbo Boost 2.0 and allow the processor to reach its Turbo ceiling. Nonetheless, this is a positive result. During heavy loads, the processor clock occasionally dropped to the nominal 1.7 GHz base clock. We observed no thermal throttling. On battery power, the ultrabook managed 2.4 points in the R11.5 multi-core test and 1.06 points in the single-core test, indicating that full performance is available even on the go. Similarly, Turbo Boost 2.0 was active on battery power. In our testing, we disabled Turbo using Toshiba’s HWSetup and set the clock speed to “always low” but these changes resulted in a shorter runtime of 221 minutes in the Wi-Fi test as opposed to the 306 minutes achieved under normal conditions. As a result, these settings should remain unchanged. In conclusion, the Ivy Bridge Core i5 processor represents a measureable upgrade to the Sandy Bridge i5 processors. Nonetheless, this will likely remain a marginal reason for upgrading the Z830 to the Z930 as the increase in performance is hardly noticeable in practical use. We used the PCMark Vantage benchmark suite to test overall application performance. The Satellite Z930 scored 11507 points, an improvement of 24 percent compared to the previous Satellite Z830 which features a 128 GB SSD. This score is very similar to the 11281 points scored by the 11-inch MacBook Air MD223D/A which uses a Toshiba-built Apple TS064E SSD. This score places the Satellite Z930 at the head of the class where typically only the fastest Sandy and Ivy Bridge ultrabooks are found. One example is the Asus Zenbook Prime UX31A which performed 4 percent slower and uses the ADATA XM11 128 GB SSD. Another example is the Dell XPS 13 which achieved a 2 percent higher score using a Samsung SSD 830. The 13-inch Apple MacBook Air remains considerably ahead with a 9 percent improvement using the Apple TS129E SSD. Unfortunately, we are unable to supply PCMark 7 results as this benchmark repeatedly aborted despite not crashing the system. The primary reason behind the Satellite Z930’s good score in PCMark Vantage is the new 256 GB SSD. While the Z830 was already fast with its 128 GB SSD, our test sample is simply a lot faster. The new 256 GB SSD in the Z930 achieved an HDD score of 49032 as compared to the Z830’s slower drive which scored 18513 points, a reduction of 62 percent. This performance gap is reflected in the Z830’s 24 percent lower score in PCMark Vantage. The Z930’s HDD score is the fastest to date in an ultrabook and only a handful of multimedia notebooks are capable of better. For example, the Asus Zenbook UX31A and its 128 GB ADATA XM11 SSD is slower by nine percent. By comparison, 7200 RPM physical hard disks reach a performance ceiling at around 8000 points. We used HD Tune, CrystalDiskMark, and AS SSD to determine the read and write speeds of the SSD in the Satellite Z930. We recorded overall read and write speeds of 274 to 507 MB/s as compared to the 133 to 184 MB/s of the Z830. Additionally, we found the read and write speeds of 4k data blocks to be very good as well. We measured 140 and 309 MB/s for read and write respectively as compared to the much slower Z830’s SSD which managed 8.7 and 4.6 MB/s respectively. While these transfer rates are not the absolute best out of all tested SSDs, they allow the Z930’s SSD to separate itself from most other drives. For example, the 64 GB Apple TS064E found in the 11-inch MacBook AirMD223D/A achieved a 50 percent slower result in the CrystalDiskMark 4k QD32 test. As Toshiba upgraded the processor for the second-generation Satellite Z930 from a Sandy Bridge CPU to an Ivy Bridge processor, the integrated graphics solution was also upgraded. No longer using the weaker HD Graphics 3000 from the Sandy Bridge family, the Z930 uses the significantly more powerful HD Graphics 4000 which can often compete with many entry-level dedicated GPUs. 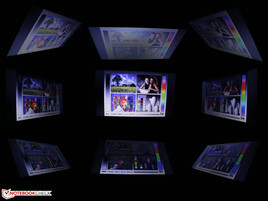 These results are documented on the HD Graphics 4000 benchmark page. It should be noted that the integrated graphics processor in our ULV processor may perform differently. We observed a core GPU clock that ranged between 1050 MHz in Turbo, the standard 800 MHz speed, and 350 MHz while idle. However, we also measured a performance reduction in 3DMark benchmarks when compared to the comparable HD Graphics 4000 of a standard-voltage dual- or quad-core Ivy Bridge CPU. Our Z930 achieved scores of 4948 in 3DMark06 and 16.27 in the Cinebench R11.5 OpenGL test. By comparison, the standard-voltage dual-core Core i5-3320M demonstrated performance gains of 21 percent and 15 percent respectively. Additionally, the Core i7-3610QM scored 29 percent better in 3DMark06 and the Core i7-3820QM scored 38 percent better in Cinebench OpenGL. These results highlight the lower performance of the ULV processor and its integrated graphics card. We also compared our Satellite Z930 to other Core i5-3317U-based notebooks that lack dedicated graphics cards. The Z930 clearly stood out in Cinebench OpenGL. 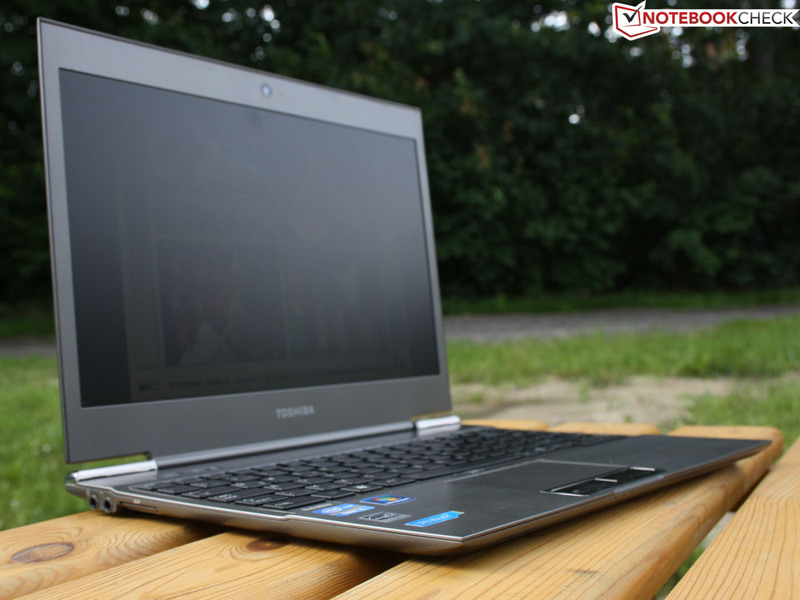 The Lenovo IdeaPad U310, Samsung 530U3C-A01DE, Samsung's 900X4C-A04DE, Asus Zenbook Prime UX31A, and Dell Vostro 3360 all fell short with performance gaps of 37, 16, 14, 12, and 7 percent respectively. Only a few devices, such as the Lenovo IdeaPad U410-MAH6MGE and Toshiba Satellite U840W, managed comparable scores. In order to provide a real world, practical comparison between the Satellite Z930 and the Z830, we tried the game Anno 2070. With the Satellite Z830 and its HD Graphics 3000, the game was only playable with an observed 33 fps at low settings. The Z930 and its HD Graphics 4000 surprised us with 46 fps under the same conditions. At medium settings, smooth gameplay remained out of reach as the Z930 managed 23 fps compared to the Z830’s 13 fps. Overall, the Z930 proved to be 74% faster than the Z830. As well, the Z930’s results are more or less comparable to those of entry-level dedicated GPUs such as the GeForce 610M and Radeon HD 6620G, both of which managed 24 fps at medium settings. On battery power, we observed 23 fps at medium settings in Anno 2070, demonstrating that there was no reduction in graphics power when operating off AC power. In our review of the Satellite Z830, our largest criticism was a penetrating, buzzing fan noise. This criticism was not limited to our editorial office as many individual users also complained about this trait. 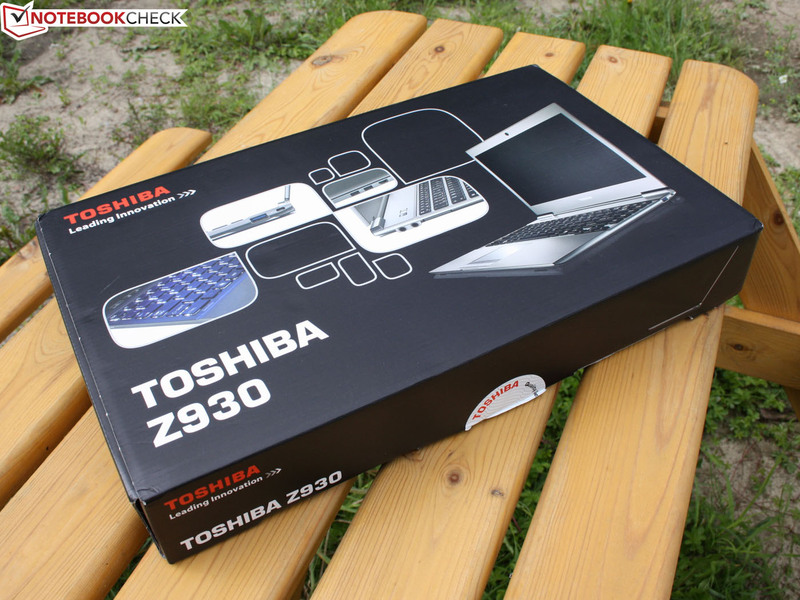 In March 2012, Toshiba promised to resolve the problem through a BIOS update. While we do not know whether the problem was solved in the Z830, we are happy to state the good news regarding the newer Satellite Z930; the annoying noise is gone. During load, the fan was either disabled or operated at a low speed. In the former case, we observed a 29.6 dB(A) noise level which corresponds to ambient background noise. In the latter case, we observed a low 32.0 dB(A) level. Subjectively, the fan’s operating noise was steady and the fan itself was able to switch between speeds smoothly. When the processor and integrated graphics card were placed under continuous load in 3DMark06, we observed a maximum fan noise of 44 dB(A). In practical use, however, we observed a maximum fan noise of 38 dB(A). While idle, the wrist rest and keyboard of the Satellite Z930 remained cool. The underside and area above the keys became slightly warmer, but we observed acceptable maximum temperatures of 36 degrees Celsius (97 degrees Fahrenheit). In our stress test, the temperatures increased noticeably, particularly on the aforementioned hotspots and below the exhaust vent. We found these temperatures high enough to rule out lap-top use. Nonetheless, our stress test represents an extreme situation and does not reflect practical scenarios. While performing low-demand tasks such as Web browsing and video playback, the Z930 remained within an acceptable temperature range. In the aforementioned stress test, the Satellite Z930 not only survived the multi-hour test without crashing, it also demonstrated no CPU throttling. Had the processor reached a critical temperature, Intel’s protective functions would have reduced the CPU clock to less than the default 1.7 GHz clock. This was not the case for our Satellite ultrabook, and we observed stable multi-core load at 1.8 GHz and single-core turbo speeds of 2.4 GHz in this test. (-) The maximum temperature on the upper side is 47 °C / 117 F, compared to the average of 35.8 °C / 96 F, ranging from 22 to 57 °C for the class Subnotebook. (±) In idle usage, the average temperature for the upper side is 32.4 °C / 90 F, compared to the device average of 30.7 °C / 87 F.
In our previous review, we determined that the Satellite Z830 consumed 5.0 to 10.2 Watts while idle. These measurements were performed at the outlet while the notebook was on AC power with a fully charged battery. By comparison, the second-generation Z930 demonstrated virtually identical consumption with a 5.7 Watt idle consumption using minimum power settings and 10.4 Watts in the “High Performance” profile, with the display set to maximum brightness and the keyboard backlight on. The previous generation Z830 consumed 31 Watts during the Prime95 multi-CPU stress test. In the same processor-only stress test, the newer Z930 only consumed 27.5 Watts. The combined CPU/GPU stress test consumed 35 Watts. This reduction in power consumption is directly attributable to the newer Ivy Bridge processor which is built on the 22 nanometer process instead of the 32 nanometer fabrication of the previous Sandy Bridge family. The smaller CPU die reduces overall energy requirements. Does this higher energy efficiency lead to a longer battery runtime? In our testing, we found that the battery runtime is extended, albeit only by half an hour at most. In our Wi-Fi test, with brightness set to 150 cd/m2, the Satellite Z930 achieved a runtime of 5 hours 6 minutes as compared to the 4 hour 27 minute runtime of the older Z830. This surpasses Intel’s ultrabook minimum runtime requirement of 5 hours. Higher loads consumed the battery in just under two hours. In terms of recharging the built-in battery, the Z930 required 3 hours 11 minutes. 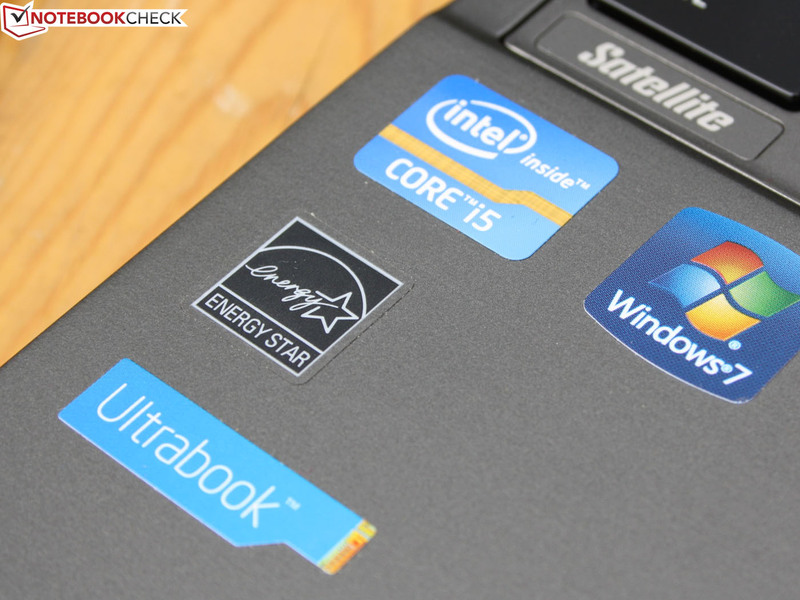 By comparison, most modern ultrabooks performed worse than our tested Z930 in the Wi-Fi test. 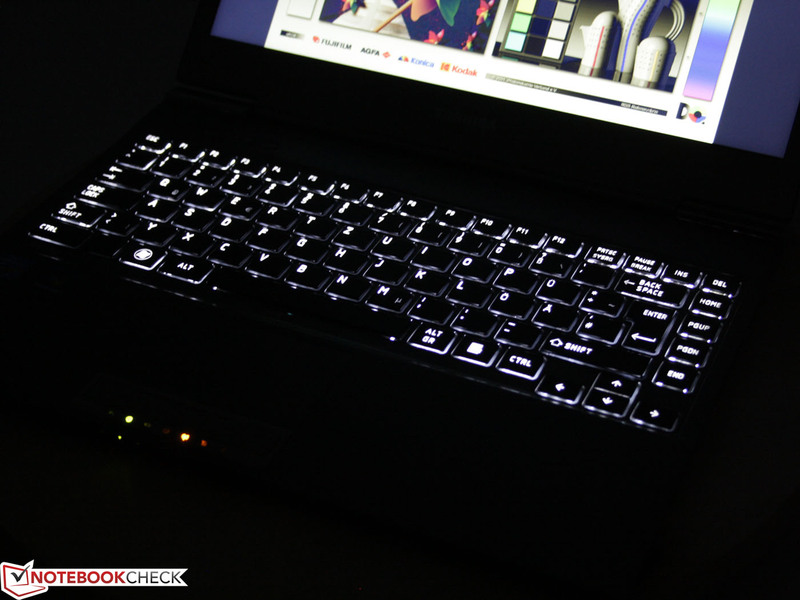 For example, the Acer Aspire V5-571G only lasted 3 hours due to its 37 Wh battery. The Asus UX32VD and Dell Vostro 3360 both lasted 4 hours and 17 minutes. The Asus Zenbook Prime UX31A managed 4 hours and 42 minutes. The only two notable exceptions are the Samsung 530U3C-A01DE, which is on a par, and the 14-inch Toshiba Satellite U840W, which is better with a measured 5 hour 40 minute runtime. 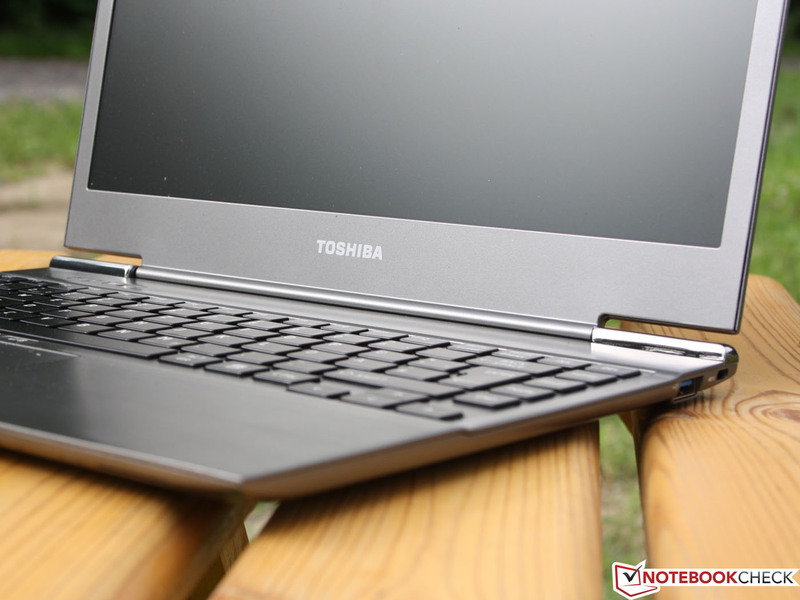 After thoroughly testing the Toshiba Satellite Z930-119, we conclude that the second-generation ultrabook is a well-designed successor to the first-generation Japanese Z830 ultrabook from late 2011. Through the use of an Intel Ivy Bridge processor, Toshiba managed to increase processing performance and even gaming performance marginally. The new 256 GB SSD is a significant speed boost over the previous generation Z830’s 128 GB hard drive. 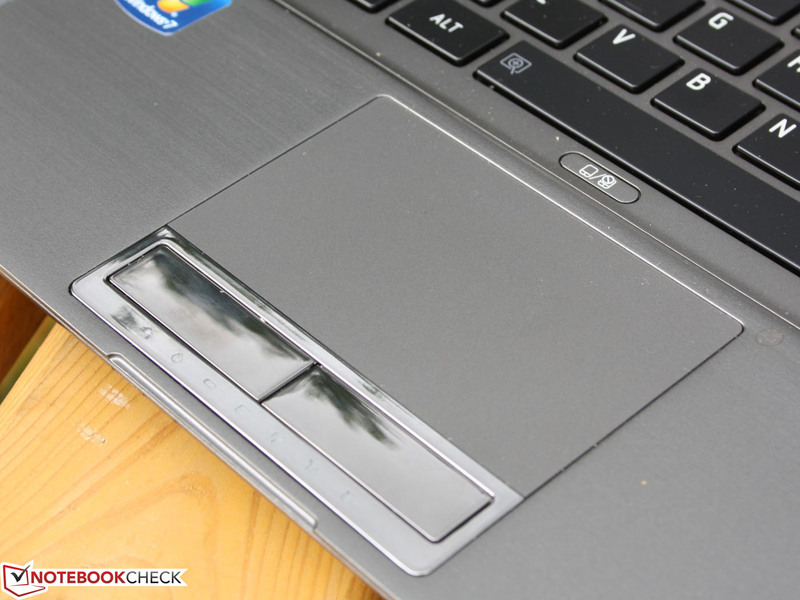 This higher performance does not take away from the ultrabook’s pleasant ergonomics. The buzzing fan noise has been reined in and is now under control. The device’s temperatures also remain under control and will not unduly distract the user. Unfortunately, Toshiba has ignored previous complaints regarding the screen and the Z930 retains the run-of-the-mill TN screen from the previous generation despite its poor contrast and viewing angles. 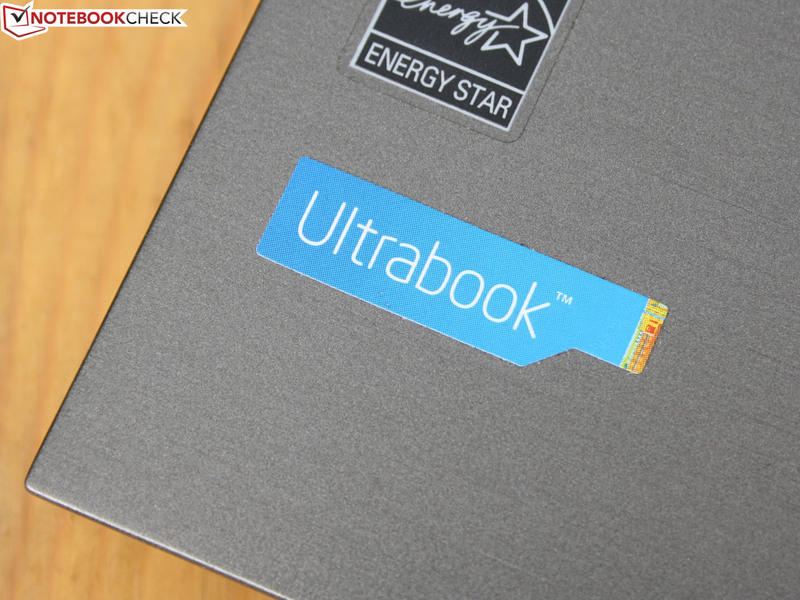 In summary, Toshiba has created a unique ultrabook package with our tested device. For those seeking an extremely light device which is capable of very high application performance and a long runtime without throttling, the Satellite Z930-119 provides the perfect balance of size, power, and endurance. At a price of 1200 Euro ($1475 USD), our tested Satellite Z930-119 configuration is not exactly a bargain. While the Z930-103 with a 128 GB SSD is cheaper at 1000 Euro ($1225 USD), buyer beware as it may use the slower SSD from the Z830. By comparison, the Asus Zenbook Prime UX31A is 300 grams (0.66 pounds) heavier but also uses a Full HD IPS display and a 256 GB SSD. With an identical 1200 Euro ($1475 USD) price tag, the choice between the Satellite Z930-119 and the Zenbook Prime UX31A boils down to a choice between weight and a perfect display. We know which we would choose. 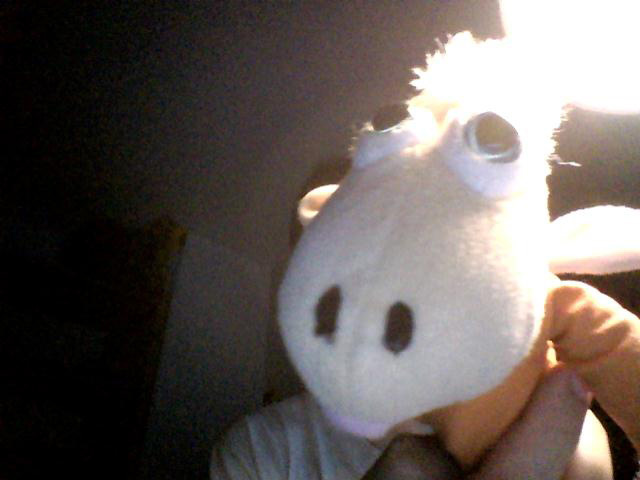 but has many options, such as night mode. But we cannot look at that. A special screw prevents opening the bottom. 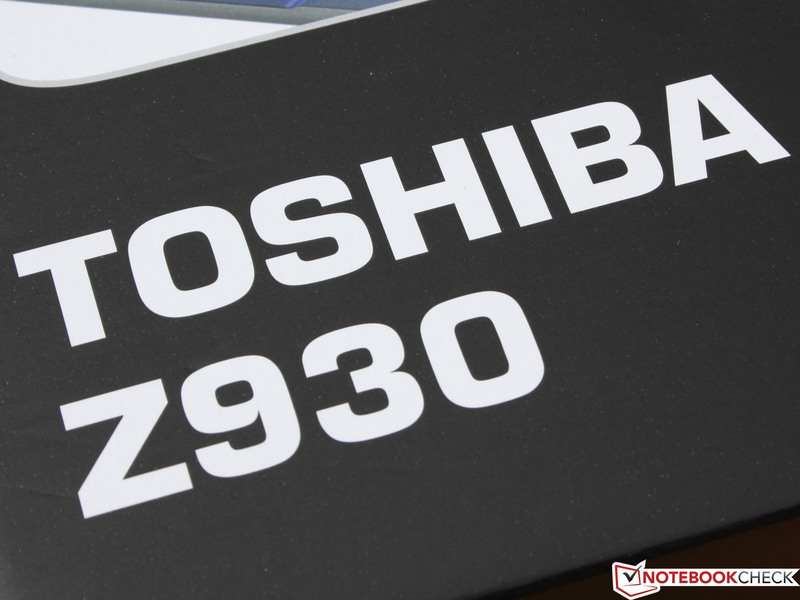 Toshiba has eliminated the Z830 fan's annoying noise. but also includes a more powerful HD 4000 Graphics integrated GPU. The mouse keys' short drop is horrid. The input devices exhibit weak feedback. It is as rigid as can be. The light and thin chassis is unchanged. 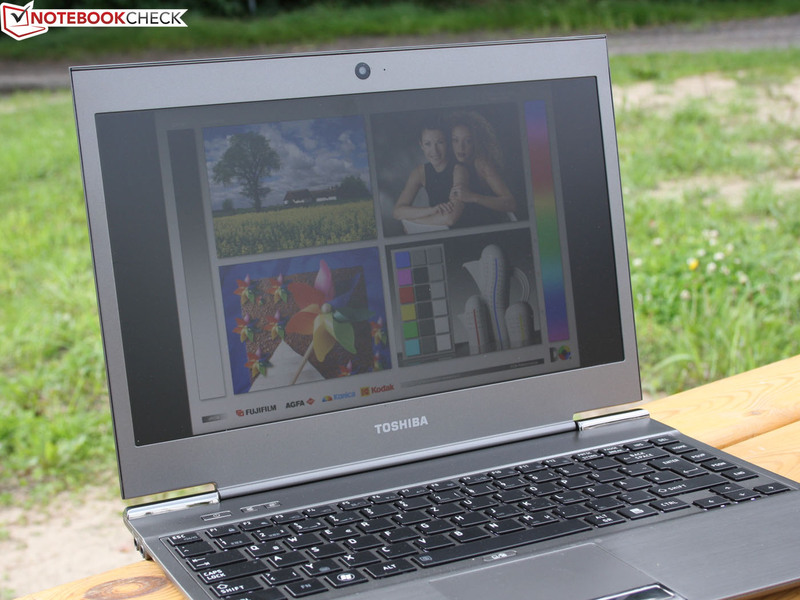 The Toshiba Satellite Z930-119: The Core i5-3317U CPU is frequently used in ultrabooks. The good runtime does not require a heavy battery. The SSD is really swift. The ports on the rear are perfectly positioned. As before, better viewing angles and the usually corresponding higher contrasts. Pretty colors on the screen could make this ultrabook to a real threat to the Asus Zenbook Prime UX31A.